Blank Slate Protagonists: Are Characters Ever Truly Yours? Over the past two weeks I finally caved in and bought myself a PS Vita, the console was cheap and I’m a sucker for JRPGS. 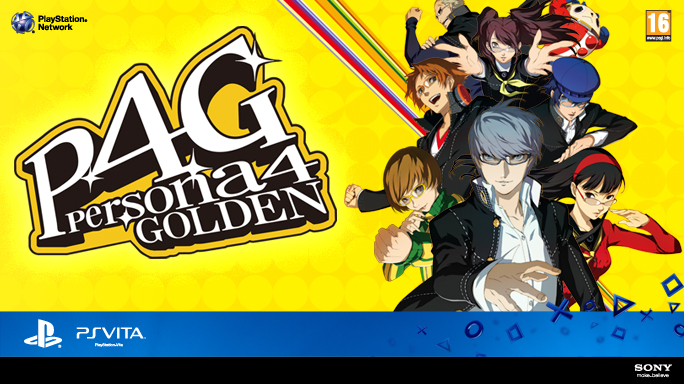 I also had the pleasure of playing and completing Persona 4 Golden, of which I clocked in around 70 hours. The Persona series was initially a spin-off of Atlus’ Shin Megami Tenshei series but due to high critical acclaim and rapid growth in popularity in both Japan and Western countries it soon became Atlus’ main franchise, and after having played Persona 3 and Persona 4 now I can completely understand why. But this isn’t a review of the Persona series, but rather my thoughts into the popular “blank state” protagonist, and the question of if there is much point to them. 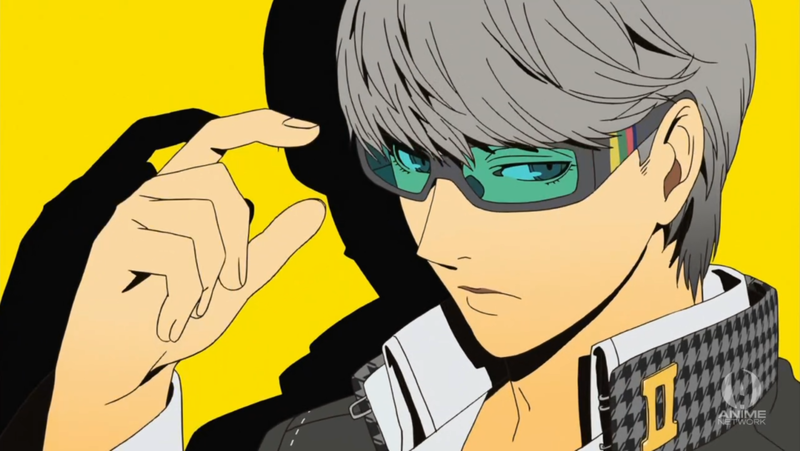 Persona 4 stars Yu Narukami, his now canonized name, the handsome new addition to Inaba – a rural town in Japan – and he is, of course, your player character. Only four facts are known and certain about the protagonist: he is from the city, he’s male, Nanako and Dojima are his family, and his parents/guardians are alive. Besides that he’s your average blank state; you choose what he says, who he truly befriends, his girlfriend(s), his stats, and even get to name him. Come Persona 4 Arena? Well, he isn’t really “your” character anymore. As of Persona 4 Arena the Persona 4 protagonist is officially Yu Narukami, an Ace with subtle issues and a caring love for Nanako. Admittedly, this isn’t so bad and it can be argued that now that the series is moving onto the next instalment that Yu isn’t really important anymore: his core story is done and complete, and that the Persona 3 and 4 games are instead a focus on the overarching plot that has building up between the two games, similar to Revelations: Persona and Persona 2. On the other hand, you could have spent 70+ hours with your protagonist. To the player, he may represent someone or something important to them and even getting the opportunity to name their character may be what kickstarts the link and bond between player and character, and if this attachment is what attracts the player to RPGs (crafting your character from scratch) to then give the character a canon name, personality and future was there any real point to these additions in the first place? Alternatively, there’s a third option. 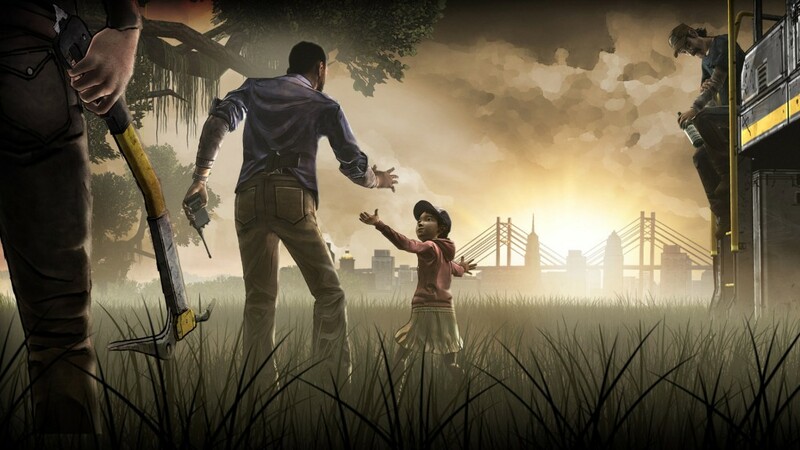 Telltale Games has created a monster of a franchise in The Walking Dead game, it is episodic so each episode must leave on a cliffhanger, it promises choice and most importantly: you choose how your character evolves and how they form relationships – not too different from the social links – but the main difference here? It’s not your character, technically. The Walking Dead game has had a predetermined character for its two seasons. Season one featured Lee Everett, a convicted killer with an ex-wife and family back in Macon, Georgia. The protagonist of season two is none other than Clementine, the child that Lee once protected and went to Hell and back for. You control what your protagonist says, similar to the Persona series, and who they bond with which, again, is similar to the JRPG series but it feels less odd for Clementine to suddenly say something or complete an action without player input so one could say that the connection isn’t there or you feel like you’re the JRPG protagonist (even getting to name them to deepen that connection), but you are never Clementine. It’s not an issue that is very controversial, but it definitely means the world to some gamers. Person and the The Walking Dead game may be worlds apart in terms of gameplay but they are similar in that people like the games for their social aspect. Would Persona 3/4 have been the same without social links? Would many still consider it one of their all-time favourites if social links had been scrapped? 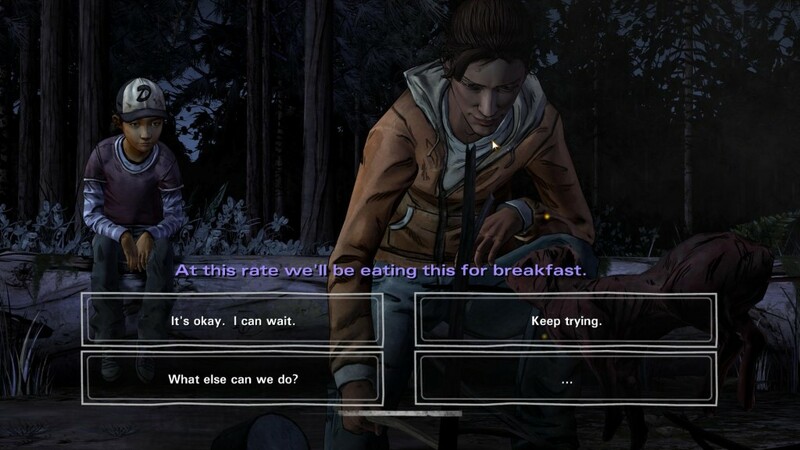 Similarly, would many still like The Walking Dead game if it was linear with no choices? Or is it the characters that make the experience. In essence I’m not too sure what makes a character “your” character, the better question might be are they ever your character? Do you ever really have complete control? I suppose the answer is no in the grand scheme of things, these characters will forever have set characters, friendships but I doubt that is going to stop anyone from identifying and bonding with the protagonist, they may not be “ours” but we have shared their stories, we have experienced their tales, met their companions, rode the rollercoaster of twists and turns so I do not think we can complain about them not being ours, or where the canon leads them, what really matters is that we were there for the most important part of the journey. I loved both Persona (The five of them) and TWD however i prefer the Persona games because you are the character instead of controlling one, sure you cant trully do whaterver you say/want but its the same in real life as well wich doesnt bothers me. As for Arena that MC is not silent and nameable simply because its a fighting game, P4G, P4DAN and PQ still leaves him as Hero wich to me implies ATLUS doesnt plans to have him as his Arena counterpart because he is still the player in whatever game he plays as a player avatar (Wich is why Arena he is not your avatar). Canon doesnt matter because multiverse wich is “canon” for Megaten including Persona. TWD 2 made a mistake by making Clem the player avatar,i wanted to protect her not control her.